This year for our Wednesday nights during Lent we are including a simple supper of soups and sandwiches. The meal is served at 6 p.m. This is followed with worship at 6:30 p.m. in the Social Room. Each week we will overhear a conversation between persons from the Passion Week narrative. Come and join us on April 3rd and April 10th. Easter lilies are often called the “White Robed Apostles of Hope.” Lilies were discovered in the Garden of Gethsemane after Christ died on the cross. We will once again decorate the sanctuary for Easter. If you are planning on bringing an Easter lily in memory of or in honor of someone, please contact the church office so that we can include that information in the bulletin. Please have your lilies at the church by Friday afternoon, April 19th. Easter is April 21st. Because last year’s potluck worked so well, we are doing it again. Following the Sunrise Service, we will gather in the basement to share in the meal. Starting about 7:30 a.m., we will sing grace. Eggs and meat will be provided. A signup sheet for donations will be out by the offices. We are looking for labor of love in setting up, cleaning up and other jobs. This is a chance for youth to help earn points for camp scholarships. If you have any questions, contact Trudy Knipple or the church office. The Lake Mills Praise Band will lead our 10:15 a.m. worship on Sunday, April 28. Our own John Gunn will be joining the group. District President, Bruce Nelson, is also a member of the band and some of his original songs will be sung. Bring your family and friends to share in this special worship experience. The Lenten Denial offering/2019 Unity offering has been designated for a church building in the Azam Province of India. The Moravian Church in South Asia is made up of growing communities across India and Nepal, energetic and excited to see the spread the Good News – from remote rural villages to major cities. In Assam, the work is based from Binnakandi with work continuing to develop in Latingkhal and Haflong. Haflong is a Hill station around 130 km from Binnakandi, the journey takes 5 hours by road. The community originally built a bamboo church to meet in, however it has started to subside down the hillside. Over the last five years, the Church in Binnakandi have supported Haflong in raising funds to buy a new plot of land. The 2019 Unity Prayer Day offering will be committed to the building of a permanent Church and facilities that will enable the new congregation to focus on their mission to reach out, provide education and enrich the community. We extend our sympathies to the family of Gordon Dakins who died March 12. His funeral was held March 18. We received reports from the different committees and ministries. We started work on creating a fuller CEC committee. We continued making Lent and Easter preparations. We are asking for youth to help set up for the Easter Breakfast on Saturday and to help in serving the meal as well to earn credit toward camp. We designated the funds raised from the Lake Mills Praise Band concert on April 27 to go to support the Ahuas Mission Team. We will have Pastor Beth offer an early childhood communion class for children who are interested in being able to take communion. Our next meeting will take place on Tuesday, April 9 at 6:30 p.m.
Minutes, Treasurer’s Reports and payment of bills were approved. Approved purchase of new printer for pastor’s office and a Bluetooth transmitter for sanctuary projector. Approved bid for roof replacement. Discussed solutions to prevent water seeping into parsonage basement. Next meeting – April 5th at 6:30 p.m.
Monday, April 22nd. 11:00am. Potluck. 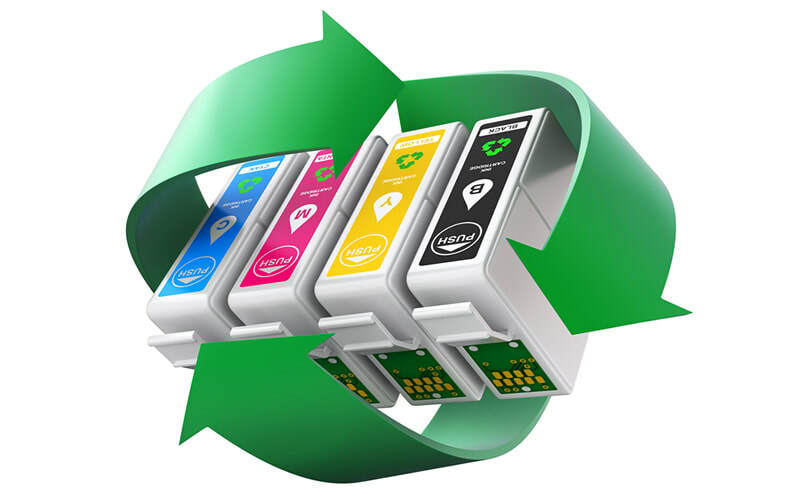 Did you know that we collect used ink and toner cartridges and then turn them in for credit. We receive $2.00 for each cartridge that we bring in. You can place your used cartridges in the blue plastic container in the hallway by the offices. ARE YOU READY TO DANCE AND TONE YOUR BODY? Elsa Voight now offers Zumba® Toning classes right here at Wisconsin Rapids Moravian Church! Click HERE to learn more about registration and details. See you there in the disco lights! The Moravian Women’s Conference will be held June 20-23 in Winston-Salem. Keynote speakers include Rachel Held Evans, a New York Times bestselling author; Rt. Rev. Kay Ward, author and a bishop of the Worldwide Moravian Unity; Rev. Christie Melby- Gibbons, Executive Director of Tricklebee; Rev. Dr. Heather Hartung Vacek, Vice-President and Dean at Pittsburg Theological Seminary and Dena Grillo Fortuzi, church leader in the Moravian Church in Albania. ​We have received paper copies of the registration form. They are on the table at the back of the sanctuary. Scholarships are available during registration as well as through the Moravian Western Christian Education Commission. ​WON'T YOU BE MY NEIGHBOR? Last fall the Board of Trustees made changes to our camp scholarship program. This year as in past years, we will provide scholarships to cover one-half of the cost of camp. We will continue to do so plus campers can earn points to cover the additional costs. If they earn four points, 100 percent of their cost to attend camp will be covered. Further information, as well as how to earn credits, is available on the table at the back of the sanctuary. O God, our help in ages past, our hope for years to come. We give you thanks for your constant presence. Through seasons of constancy and change, you are with us, calling us out of ourselves into the world to serve others. Grant that we may be united in love for each other and for those we haven’t yet met. us wisdom, patience, and perseverance as we work through the details and challenges of the ministry you have placed before us. Continue, O Lord, to bless the work of our hands. Bless the work of our hands. To reach Rev. Beth Rohn-Habhegger, please call her at 715-213-2362 or send an email to wrmcpastor@gmail.com.